"Are we going very far?" than we have ever gone before." Papa has answers for all these questions, but Little Blue remains curious as they begin their journey. What could be down below, where they can't see? The answer is a magical world and Little Blue is enchanted . . . until there is only darkness surrounding the young whale. But if Little Blue is quiet and listens, can Little Blue hear Papa's song? Filled with the wonders of the ocean and the comfort of a father's presence, Following Papa's Song is a heartwarming story to be read again and again. Gianna Marino was born in San Francisco and spent her early years galloping horses through Golden Gate Park. Her explorations expanded after graduating from high school and in order to afford her many journeys, Gianna had several jobs at once: apprenticing a muralist, a jewelry designer, a product designer and driving horse carriages through the park. Gianna explored many corners of the world, from Africa and Asia, to the South Pacific and Europe, to crewing on sailboats in the high seas. 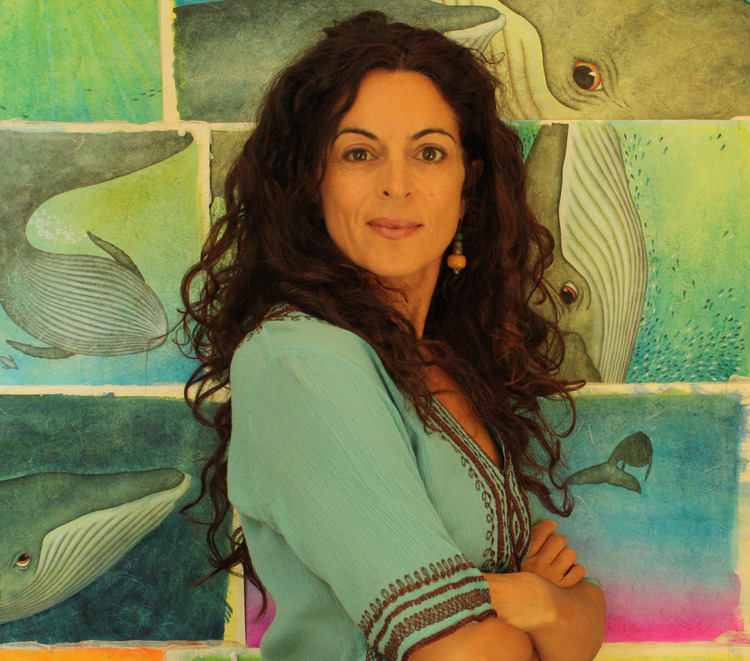 At work and school, she became known as "Boomerang".Gianna finally landed a full-time freelance gig designing toys for children, but after several years in a corporate box with no windows, she left for good and began writing and illustrating books for children. Though she still wanders the world, Gianna now lives in Northern California and works full-time writing and illustrating.